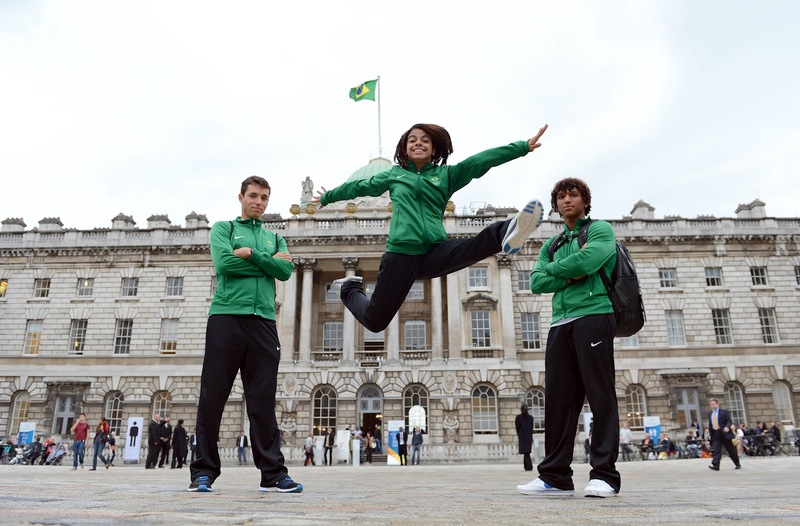 The athlete of the "Olympic Experience" Andressa Mendes had fun in the courtyard of Somerset House, where Casa Brasil is located in London, on Tuesday. The diving athlete, who is accustomed to jumping, but to the bottom of the pools, drew the attention of the regulars from the local while improvising a demonstration on firm ground. Her traveling companions who are also part of the project, Bruno Matheus (triathlon, left) and Isaquias Santos (canoeing, right) were also at Casa Brasil. The "Olympic Experience" project, promoted by the Brazilian Olympic Committee, is intended only for individual or double sports athletes.